Ready to get your game on? Then how's this for a competition; we're giving away an incredible MSI GE60 gaming laptop worth over £1,000! 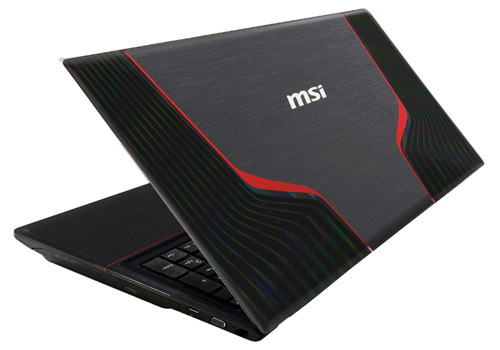 Armed with an Intel Core i7-3610QM processor, 8GB of DDR3 memory and a 2GB NVIDIA GeForce GTX 660M graphics card, this isn't just any 15.6in laptop - it's a mobile gaming beast that lets you take your favourite games on the road. The GE60 is one of the slimmest gaming laptops available, yet it still manages to squeeze in a 15.6in full-HD display, a SteelSeries keyboard made exclusively for gamers, Killer E2200 Intelligent Networking, a Blu-ray drive and USB 3.0 connectivity! Want to be in with a chance of winning this awesome prize? Then answer the question below or enter via our dedicated Facebook competition page. And don't forget - you can enter using both methods to get a free second entry and increase your chances of winning! I keep reading about dropping computer sales, starting to think it's heXus' fault for giving so many away. Another super chance, thanks for the competition to win this superb prize. Awesome comp :). Never win but I live in hope!